All we ever hear is how Climate Change is caused by humans and it will destroy the world. They have been yelling that New Orleans and Miami will be UNDER WATER within the next century as rising sea levels put more than 400 US cities ‘past the point of no return’ unless we suddenly raise taxes and hand the power to government to change the climate. In Princeton, New Jersey, the actual construction of the Harvey S. Firestone Memorial Library was set in motion at the University. Excavation begun January 2, 1946, and the building opened for use on September 7, 1949. This was where I conducted my research that produced the Economic Confidence Model. The excavation for the underground floors of the Firestone Library was difficult. In the spring of 1946, a group of Princeton geologists found fossils from fish of the late Triassic Age in a section of shale. The fossils, which had been buried there for 175 million years, were amazingly well-preserved and revealed new details about the prehistoric fish. This site proved one of the richest grounds for finding Triassic fish fossils in the world. The fossils were sent to museums. Clearly, most of New Jersey was under water before. The Global Warming crowd made it seem that we are responsible for everything – not nature. New Jersey was once below sea-level. 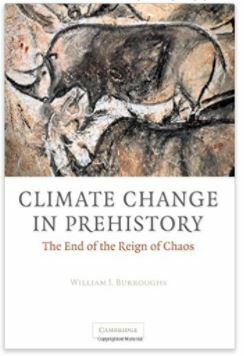 An interesting book Climate Change in Prehistory: The End of the Reign of Chaos, is documenting how humankind dealt with the extreme challenges of the last Ice Age and climate change the Global Warming people ignore. Climate change has affected the evolution of humankind and is responsible for spreading humanity across the globe. 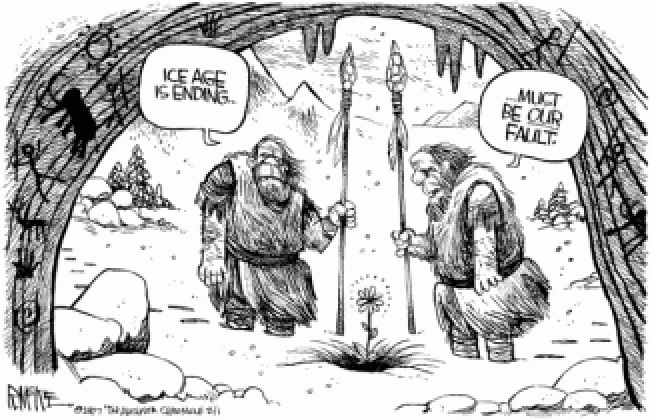 Our genetic history in the context of climate change during prehistory, reveals another dimension to the argument. The origin of many features of our modern world are identified and presented in this work which reviews the aspects of our physiology and intellectual development that have been influenced by climatic factors. Climate change has impacted our diet, language and the domestication of animals, thereby changing our lives. Modern humanity is a product of the climate change. Climate change in prehistory brings together studies of the climate with anthropological, archaeological and historical studies to paint the full picture. « 2017 – The Year Without an Arctic Summer?